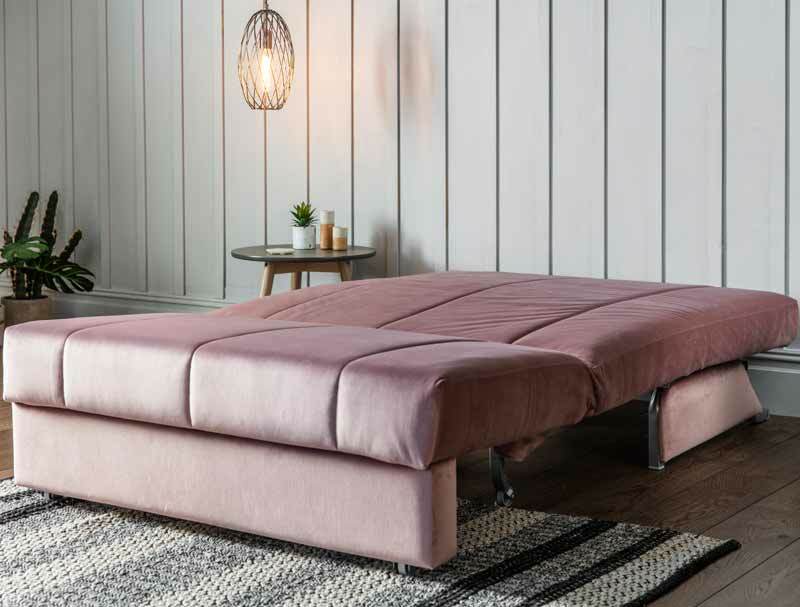 The new Metz sofa bed from Gallery is very much like the Aztec sofa bed from Gainsborough, but this is available in about 14 days. It is available in a choice of 26 colours Langford, Sheerwater and Longbridge fabrics. This easy open and close sofa bed offers easy opening from the front, with clic-clac opening and closing. 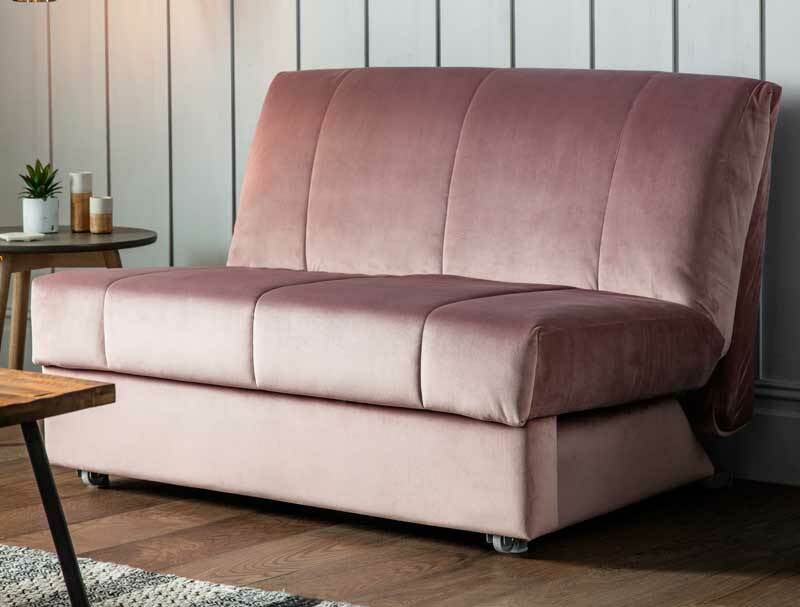 The Metz is offered in 3 sizes small single 80cm wide, small double 120cm wide and double 135cm wide and comes with a Kelso quilted top design. Note - Delivery not not available to certain Scottish postcodes.